We spend Friday out on the Gras-Z-Hil Holstein Farm which is owned and operated by the Grassl Family. It was an honor to watch a dedicated family work together to operate and manage their family farm while they had brought us in complete their Milk House Floor. This can be a challenge for everyone involved when daily farming activities need to continue to flow. Their herd is milked twice a day which gives us a window of opportunity between milkings that needs to be utilized effectively. Allen was a great help and support to us all day and we couldn't be happier with the final outcome. They chose Zone Garage Granite Style Flooring in Granite Flake with a Black Base. 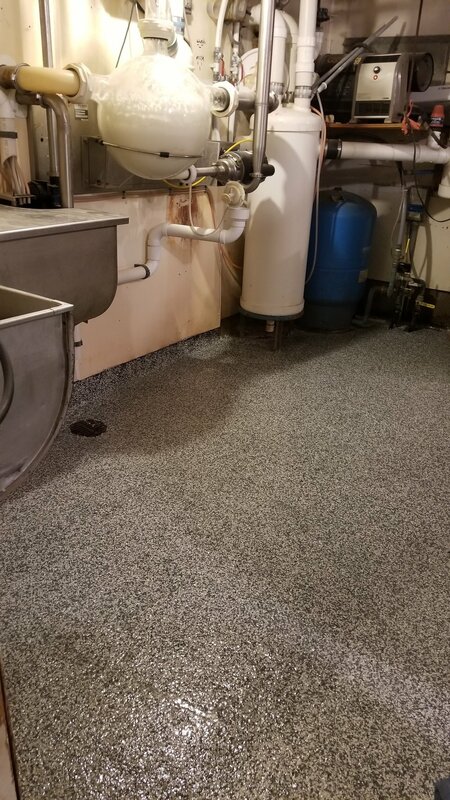 This will provide them easy clean up and impact and slip protection for many years to come.